AMTROL Epoxy-Coated Retention tanks feature heavy-gauge steel with a baked epoxy coating on the interior and exterior. Multiple tappings are provided to fit any installation. 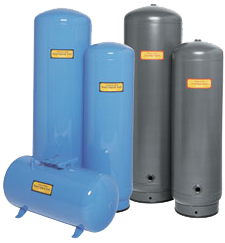 The WWT Series of diaphragm well tanks are designed to give the features you need and the quality you want. Engineered specifically with the contractor in mind, WWT tanks incorporate Flexcon’s famous double diaphragm concept. Two halves of a FDA/NSF approved 100% butyl rubber diaphragm are held together with a steel clench ring. They are affixed to the bottom of the tank with a stainless steel water connection and finished with a steel elbow. This creates a water chamber that is completely isolated from the steel walls of the tank and ensures that the water that goes in is the same as the water that comes out. These shallow well jet pumps are designed for use in homes, farms, cottages or booster services. These versatile convertible pumps may be used on shallow or deep well applications in homes, farms, cottages or as booster services. 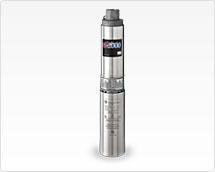 These surface mounted deep well pumps are designed for use in homes, farms and cottages. They are specifically designed to deliver high capacities at greater pressures. These below ground pumps are designed for residential and small municipal water supply as well as light irrigation applications. 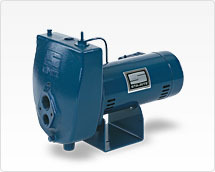 The HL Series convertible jet pumps offer a proven cast iron self-priming design available in 1/2 - 1 HP models. Quality Construction - Close-grained cast iron pump body and base are rugged one-piece unit, specially treated to resist corrosion. Pressure Switch - High quality, cut-in and differential pressure setting are adjustable. Ideal for water systems and sprinkling for homes, farms and cottages. SignaSeal™ staging system incorporates a harder-than-sand ceramic wear surface and a floating impeller design - which together literally pulverize sand and small debris. This proven feature reduces lock-ups, dry-runs, and abrasive wear.